A resistance to short-term interior design and decorating fads. "Nothing gives me greater joy than being able to bring someone’s vision to life and creating something lasting, that they love. I never get tired of hearing people say, this is exactly how I pictured it." "We have worked with Carole Tretheway Design for the past five years in the design and implementation of our home. Meetings were held during short trips to the Sunshine Coast from California. The meetings were very productive, with follow through. Carole helped us with resources in the area. Kitchen joinery, travertine, windows, colours, plumbing finishes and the lists goes on. Our home is a work in progress , recently we purchased living room furniture with Carole’s guidance." Australian building, interior design and decorating company. 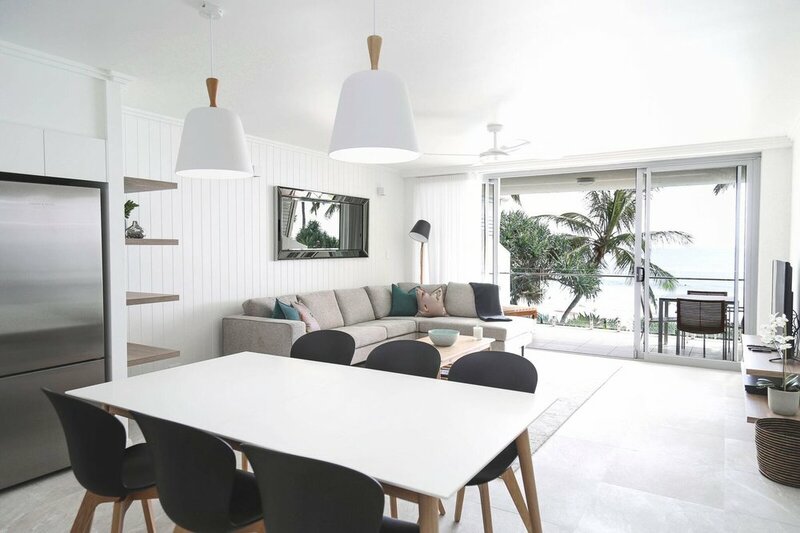 Carole Tretheway Design, has been enhancing the lives of its clients on the Sunshine Coast, nationally and internationally since 2009. Drop in to our Noosaville office or contact us for a personalised consultation.